I really love the rainbow effect of these cute little bunnies. 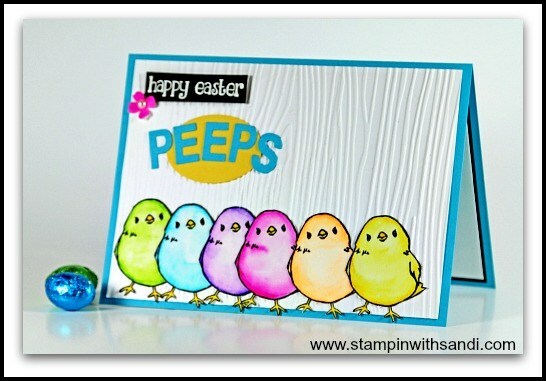 Buying the full set of Stampin' Write markers was one of the best things I ever did. It means I can colour with any colour I like because when using the aqua painters you can use ink either straight from the ink pad or also from the markers themselves (and now that Stampin' Up! has water colour pencils a whole new world of water colouring has become available.) Do yourself a favour, get a set! It's My Party and I'll 30 it Up if I Want to!